Established in 1983, Leaders have become synonymous with the highest standards in the letting and management of rented properties. We offer landlords and tenants all the benefits and security of one of the largest independent specialist letting agents in the UK but with the personal service and care you would expect from a local letting agent. 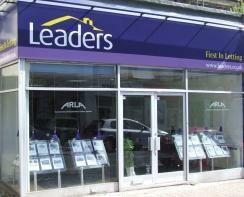 We have professional, ARLA qualified staff on hand to help with your property requirements. Leaders have over 400 employees across the South. Aldershot, Ash, Ash Vale, Badshot Lea, Farnham, Farnborough, Frimley, North Camp, Mytchett and Tongham. Please refer to the branch for details on fees.